Many people claim they have insulated their homes but only a few people have home that are properly insulated. This is because many homes miss an insulated foundation, which results in heat loss, mold, condensation, thermal shock, surface floods, radon gas infiltration, and rotting walls. 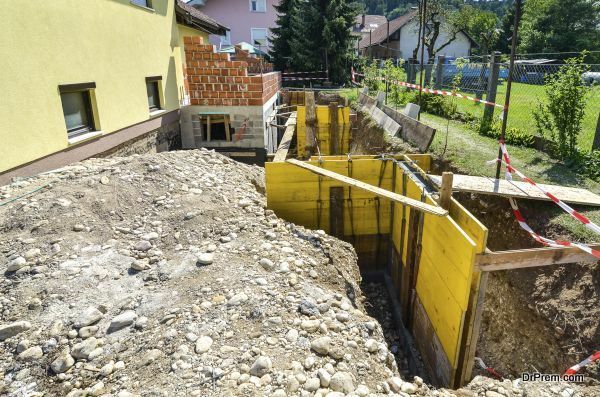 On the other hands, homes with better basement designs or ones that have insulated foundations do not experience any of these things. Owing to the state-of-the-art technology and awareness in people, more and more homes are coming up that are energy efficient. 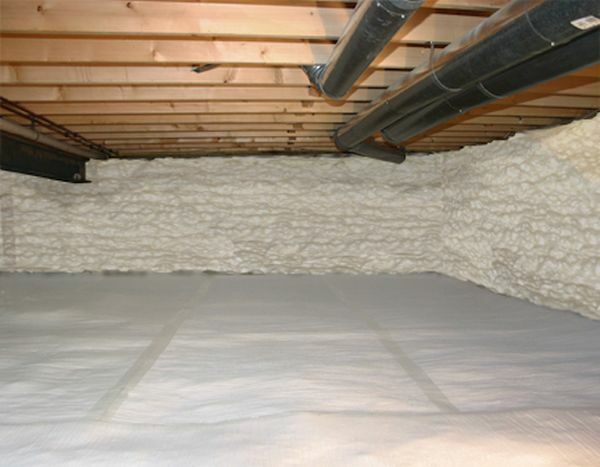 Majorly, the foundation insulation is contributing towards increased efficiency of homes. For years people somehow managed to ignore such great energy efficiency potential of foundation insulation. Insulating exterior basement walls minimizes thermal bridging, and reduces heat loss that usually takes place through the foundation. It prevents moisture intrusion, as it acts like a capillary break that stops it from entering. In extreme climates, the freeze-thaw cycle badly affects the foundation but the insulation on the exterior walls prevents any such damage and reduces condensation as well. 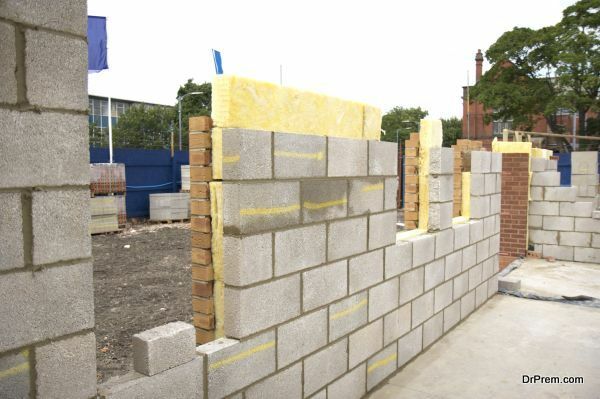 Coming to the disadvantages, insulating exterior walls is expensive, especially if you do it on an existing building. Only highly qualified contractors can do the process because not many know the proper detailing procedures. Many insulation materials used on exterior walls are susceptible to insect manifestation. Insulating interior walls is a better option than insulation exterior walls. It is less expensive than insulating exterior walls, even on the existing buildings. You get an opportunity to choose from a wide assortment of insulating materials, which is unlike exterior wall insulation materials that are few. You can choose a material that gives you best insulation and costs you less. There is no risk of insect infestation as well. 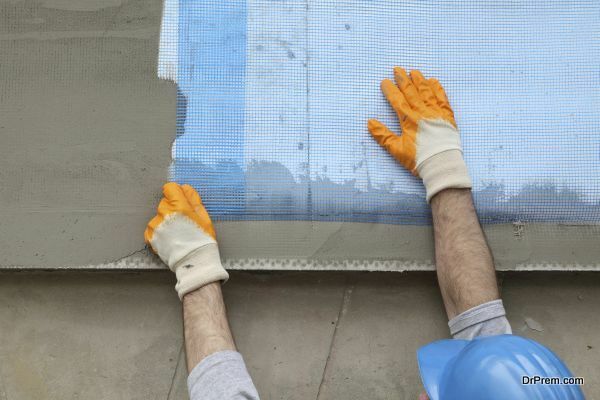 There are some disadvantages as well, as it reduces interior space by several inches and does not protect damp-proofing coating like the exterior insulation do. Moisture weeping takes place through the foundation walls if the perimeter drainage is poor and it saturates the interior insulation. Moreover, you need to cover interior insulation with a fire-coated covering if the material releases toxic gases. While insulating a crawlspace, you need to consider whether you will vent the crawlspace or not. If you decide to vent it, you need to seal all holes in the floor before, so that air does not blow into the house. Use rolled fiberglass to insulate floor joists, and seal the entire seam well so that wind does not keep blowing and affect the insulation. Over the dirt floor, you can use polyethylene vapor retarder or some other material you think matches its potential. 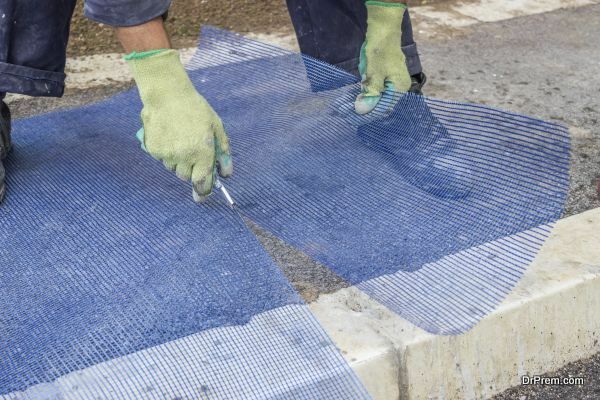 Polyethylene gets damaged, to prevent this cover it with sand or a thin concrete slab. If you decide to leave the crawlspace unvented, you must check for every single hole in the foundation from where air could enter. You should use the plastic ground cover, pull it up to the wall and secure it to the mudsill. You must also install rigid insulation foam board from the foundation’s subfloor to the concrete slab of the crawlspace’s floor. Insulating foundations is imperative, or else heat loss takes place, the below grade rooms are not comfortable to live in, and you see an increase in your heating bills.